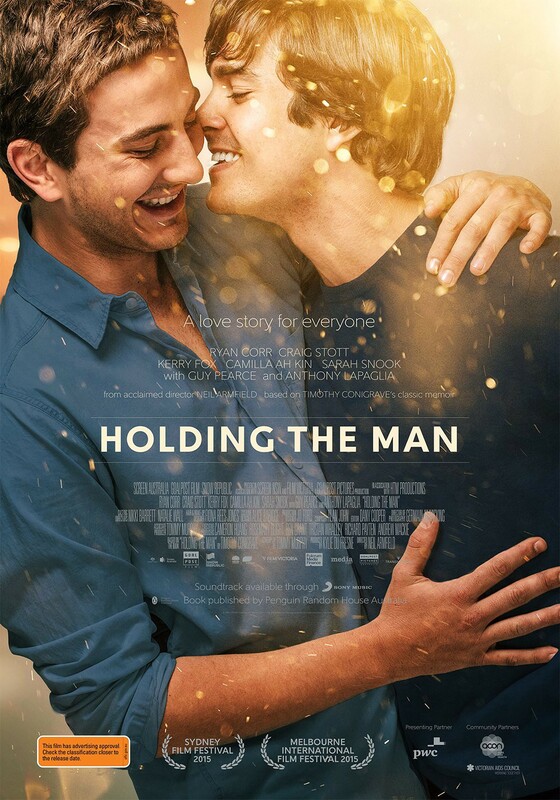 From life to the page to the stage to the screen, Holding the Man is something of an iconic modern Australian love story. The fact Tim Conigrave and John Caleo died young from complications due to AIDS makes it a tragic love story. Yet, with all its rich source material, the film version fails to effectively engage. The first problem is there is no convincing chemistry between the leads – a fine performance by the vulnerably arrogant Ryan Corr (The Water Diviner) as Tim is diluted by a doe-eyed lap dog Craig Stott unconvincing as the private school footie-captain. Add a split timeframe into somewhat episodic narrative (the two were together for 16 years between 1976 and John’s death in 1992 – Tim died three years later just 10 days after completing the book) results in a long film that is not 100% clear where it sits – schoolboy romance, love story, political agitprop, social commentary. Result is it falls between too many stools. Disappointing. I have come to the same conclusions in my review for similar reasons. We appear to be in the minority. Drop into mine and compare notes at http://richardalaba.com I’ll be following your work.